Holding a patient’s hand before a procedure. Listening to their concerns with empathy. Comforting a frightened child. These are the qualities UNC Medical Center seeks in their nurses. As one of our trusted nurses, you’ll help men and women get back on their feet while bringing them peace of mind. 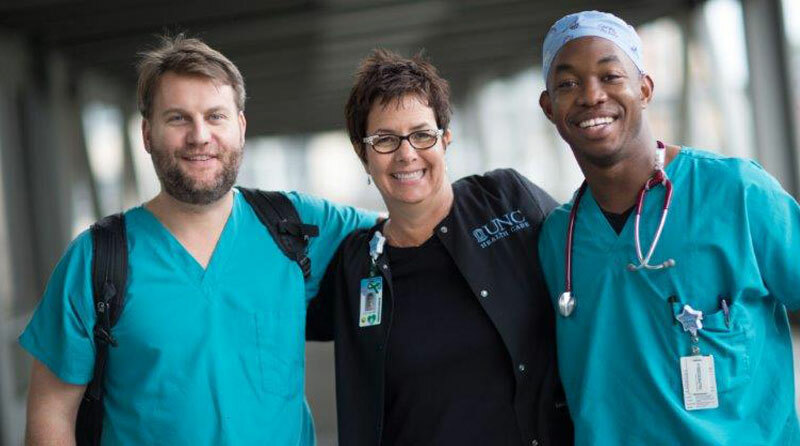 UNC Medical Center nursing department is as much about kindness and caring for the whole person as it is about medical and technical knowledge. What do we look for in a Nurse at UNC Medical Center? Below are candidate traits that encompass the Empathy and Expertise needed to provide the exceptional care our patients deserve. I’m really proud of our shared governance model. It’s about empowering nurses to make the decisions about how we administer care and making sure changes come from the bottom up as opposed to the top down. It gives nurses a voice. RN OR Opportunity Looking for an experienced ,energetic, and positive operating room nurse interested in joining our team.